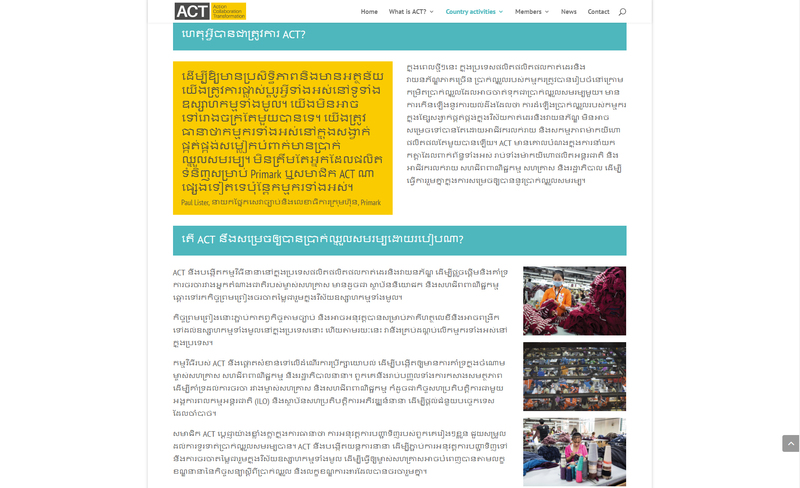 ACT needed a complete overhaul of the content on their website as well as adding Turkish, Khmer & Burmese language translations to both the website and their printed material. There were strict house rules to abide by in the design, and all had to be kept fully responsive! I re-built the site on a staging site so the ACT team and members could review the changes before going live. As ACT grows, and presents their collective bargaining agreement to a new country, I will be adding translations. 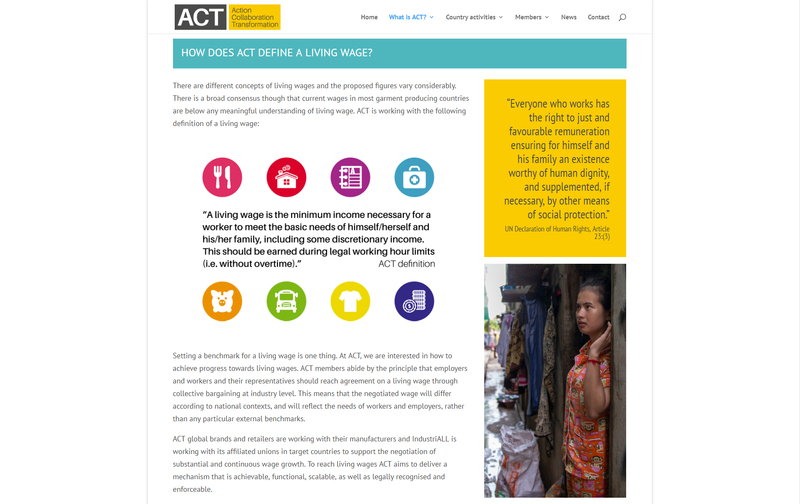 ACT was going to Myanmar to present their agreement to the Government and local businesses, so the website and all print material needed to be translated for their visit. Very challenging to make sure the right piece of text is in the right place, but I love the way this script language looks!